When it comes to Options Trading, there are different complexities involved in terms of choosing a specific strategy that works the best for you. At the same time, each strategy has its own set of advantages as well as limitations, thus making the concept of options trading even more challenging. Thus, in case you are looking to fit a particular strategy in your option trades, just check few areas before you make a choice. Apart from the Short Call Butterfly Vs Short Call Condor strategies, there are more than 25 comparisons of each of these strategies with other option strategies. With all these comparisons, you should be able to filter the ones that work the best for you. Investor Obligation It is necessary that the strike prices of the in-the-money and out-of-the-money call options are equidistant from the at-the-money call options, and all the options have the same expiration date. In case of limited price movement, the trader supposedlly incurs a loss. 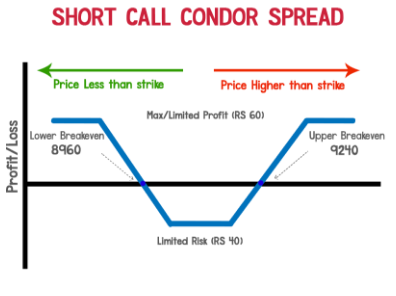 Thus, with this, we wrap up our comparison on Short Call Butterfly Vs Short Call Condor option strategies. 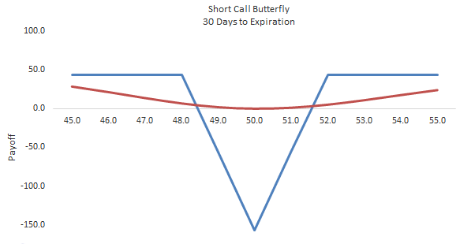 Furthermore, if you as a trader are expecting price movement (without any idea of the direction) within a neutral market momentum – then short call butterfly is an optimal strategy for you. There is a limited amount of risk involved and you can expect limited profit only in this options strategy. At the same time, if you are in a neutral market situation and have a limited risk appetite, then Short Call Condor may suit you well. You need to know that this strategy provides limited level profit only. The strategy comes with a limited profit potential. In case you are looking to trade in options segment or share market in general, let us assist you in that. Just fill the form below and we will take you to the steps ahead.